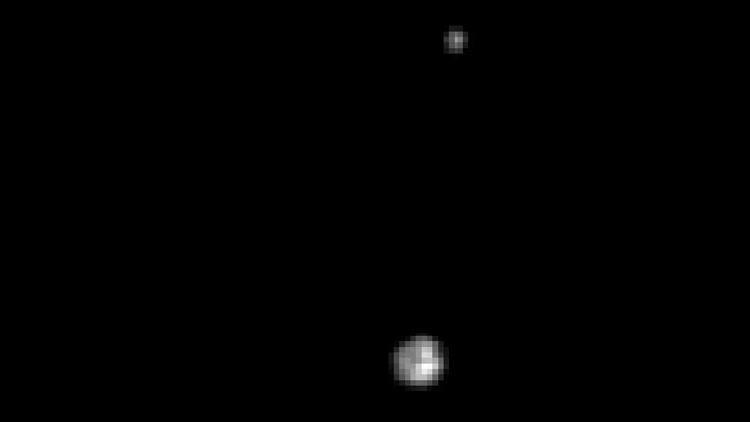 NASA has released the first color image of Pluto and its moon Charon from the New Horizons spacecraft. While it may not look like much, it’s only going to get better from now until the spacecraft’s closest approach in July. Although the image above is touted as a color image, it’s actually a composite image that approximates Pluto’s actual colors. Like other spacecraft, the CCD cameras on New Horizons only detect brightness within a particular spectral range. These are then combined to create a simulated color image. For this mission there are four detectors, for blue, red, near infrared, and a narrow band filter specifically for methane spectra. 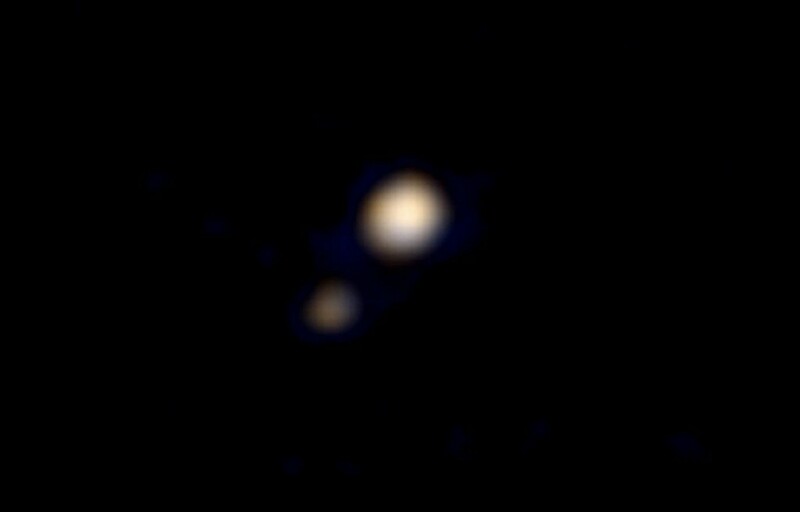 While a color image of Pluto and Charon is impressive, it’s an indication that New Horizons is now close enough to get better images than we’ve had before. In addition to the imagery, there are several other detectors on the probe, measuring things like solar wind, dust particles, atmospheric spectra and radio telemetry. Since the spacecraft will make a fast flyby of Pluto, data will need to be gathered quickly. But for now we can enjoy the distant dwarf planet in living color. how “long” will New Horizon’s flyby will take? As in, will it take hours, days or minutes for it to swirl past Pluto?